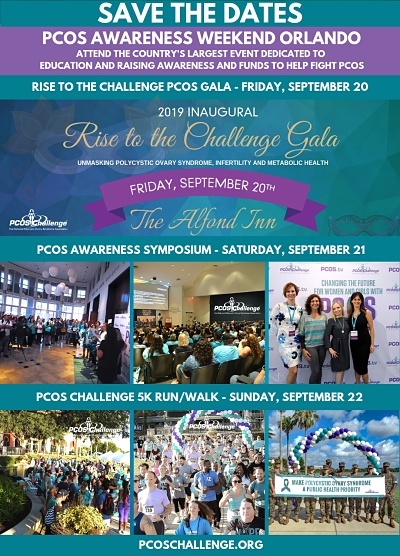 Sasha is Founder and Executive Director of PCOS Challenge: The National Polycystic Ovary Syndrome Association, the leading 501(c)(3) support and patient advocacy organization globally that is advancing the cause for women and girls with PCOS. Sasha started the organization after she was diagnosed with PCOS and experienced great dissatisfaction with the availability of support resources for women with the condition. Under Sasha’s leadership, PCOS Challenge has quickly grown to over 50,000 members and has helped many women overcome their struggles with infertility, weight gain, anxiety and depression and reduce their risk for numerous life-threatening related diseases. As Executive Director of PCOS Challenge, Sasha built a coalition of over 70 major national and international health organizations and led the first successful legislative advocacy effort in the U.S. Congress to recognize the seriousness of PCOS, the need for further research, improved treatment and care options, and for a cure for PCOS and to designate September as PCOS Awareness Month. Sasha also created the PCOS Awareness Symposium, the largest event globally dedicated to polycystic ovary syndrome, which has educated thousands of patients and healthcare professionals about PCOS since 2013. In 2018, Sasha helped organize the first International Conference on PCOS in India for both patients and healthcare providers. Through PCOS Challenge, Sasha has helped to develop one of the largest multimedia bodies of educational content dedicated to PCOS, which includes television, radio, print and online resources. Sasha is Executive Producer of the national award winning cable television series, PCOS Challenge. She is also host of the PCOS Challenge radio show and publisher of PCOS Challenge magazine. Sasha is a Clinical and Research Microbiologist with a Bachelor’s degree in Clinical Laboratory Science from Howard University and a Master’s in Health Administration from the University of Phoenix. Prior to founding PCOS Challenge, Sasha was a contract research microbiologist at the National Institutes of Health (NIH). William is CEO of The Baron Solution Group, a Top 100 MBE. He was named a Top 20 Business Icon by Exceptional People Magazine. William is a four-time award-winning lecturer and international best-selling author who uses his trademark approach, The Baron Solution™, to coach, train and motivate nonprofit leaders, small business owners, executives, sales professionals and investors. He has shared the stage with billionaires, presidential candidates and Fortune 100 CEOs. William is an internationally recognized business and entrepreneurship coach who has created over 150 products and has been a featured guest on over 1,000 television and radio programs. William is a contributor to Inc. Magazine and Microsoft Small Business blogs as well as a business and financial expert for networks such as CBS and SiriusXM Radio. He delivers solutions to millions worldwide — from individual investors and small business owners to corporate boards and CEOs. William’s breakthrough book, The Baron Son has been translated around the world and featured in the Forbes Book Club.